If we're still talking 8th edition here, I'm pretty confident they are 5+. I still remember how cool I found those small units when I first read the book, though I haven't used them as often as I'd like to in that format. And SM are indeed still a 5+ unit. It's one of the differences between them and WL. Which actually makes them the cheapest possible unit we can field which is actually a unit (eagles are cheaper but not really a unit as such). Thanks Rod! I couldn’t figure out how to do it from the mobile app. I don’t have a PC so right-click is a no-go. However, a long press on the image from within my browser seems to do the trick! It's one of the differences between them and WL. I guess I just assumed both had moved to 10+, I remember this being an issue with Lion cubes. I remember this being an issue with Lion cubes. Thats how they got those cute tails! Lists for Sunday finalised and submitted! I'll be rooting for the Tiranoc Chariot, its about time one of these bad boys did something! I’m expecting Dragons RE. First game is vs Dwarfs but under the pack even they can take one! It’s 1000pts + 500, Meeting Engagement (the one with diagonal deployments). Dwarfs deploy in a corner anyway RBTs can be decent at sniping artillery too. Not sure adding a dragon to a dwarf army is a good idea. 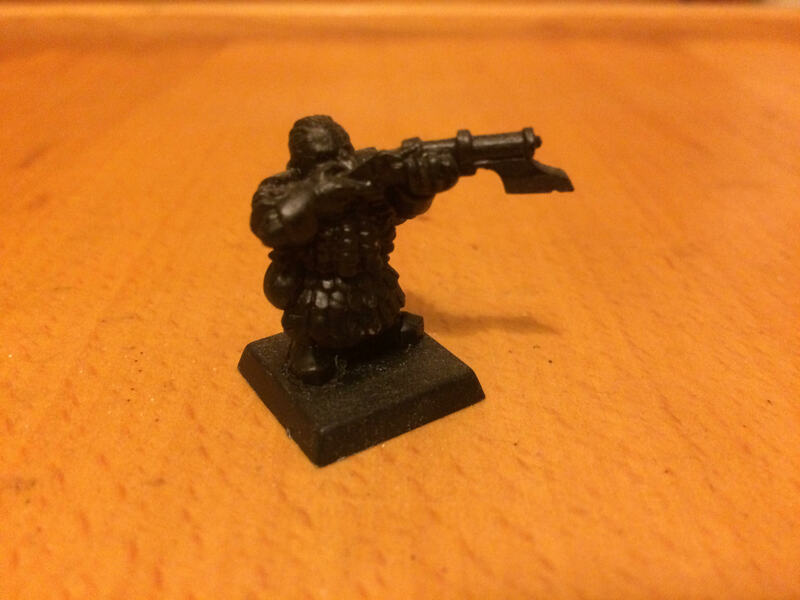 He needs some support in combat, which Dwarfs have a hard time giving. The lists look interesting to play. Bring it on! Event was good, I’ll start a report tomorrow. This proved a double-edged sword RE. Not sure adding a dragon to a dwarf army is a good idea. I did not get to find out Rod! Mark the TO would have played TK’s to balance the numbers if necessary I think RE but we had an even 12. Not your typical Empire list, is it! As mentioned, Meeting Engagement. Thoughts on the match-up? The Organ Gun is always a nuisance and the Steg can cause trouble it your RBTs let him, but all that infantry is done for, I think. That indeed is a strange dwarf list. It looks a bit like the owner had 80 models in total and simply decided to bring them all. It's indeed the shooting + stegadon you have to worry about. SM don't like that. You do have a slight range advantage I think. And a big speed advantage of course. Still, the SM + frosty (which should be able to catch it and hold it up) should be able to deal with the stegadon ok. After which the main thing is to not get shot to pieces by the organ gun. I'm not sure if meeting engagement works in your advantage or not. It could help get you stuck in earlier (protecting you from shooting). But it also could remove your range advantage. Also, it's harder to pull a refused flank or outflanking maneuver. It’s a lot of bodies RE. But it’s not obvious how to make those count. You do have a slight range advantage I think. I do Rod and I also have magic (Soul Quench, Apotheosis, Hand of Glory). I rolled a double but went for small spells to boost Shield of Saphery and because the RIP of Convocation for example would be wasted. The match-up is definitely favourable. Apologies for the orientation guys, though you do get a nice view of my tea mug! The Swordmasters (and Archmage) were close to the middle and as far forwards as I could put them. The wood to their left was large and the bit you can’t see contains the Wood Elves. Beyond those is an Eagle. High Elf Archers are to the right of the Swordmasters with the second Eagle further to the right out of shot. RBT’s are visible on the hill, the Frostheart was behind these. Silver Helms had rolled a 1 and so were in Reserve. I was not afraid of a firefight and the only combat threat I feared (the Dwarf Lord) was countered by World Dragon (I knew he had no Great Weapon). This was actually taken afterwards but not much had changed. The Steg is out of shot to the left. Next we see Quarrellers and then Empire Handgunners. Rightwards we have the Warrior block and Ironbreakers plus Lord. Behind those the Organ Gun on the hill and further right the Spearmen who were initially deployed facing forwards. James my opponent put the Thunderers in the building but then we remembered to roll for Reserves and they instead started off-table. His units were not on the front line, they were a little further back as he expected me to attack. Looks good. Nothing too special about the deployment. Except that having the SH in reserve isn't necessarily a bad thing. They're fast enough to get in on the action and can perhaps pull of a nice flanking maneuver. And given the diagonal deployment they can perhaps make it to a flank / rear reasonably fast. Is the mounted guy in the infantry unit riding backwards for any particular reason? Oh dear, I was rather pleased with mine! He’s a filler, it’s artistic I suspect. James failed to roll a 6 so the High Elves went first. Eagles flew round the flanks while the Phoenix moved up behind the building on the right. The Swordmasters pulled back out of Handgun range. My shooters stayed put. The Silver Helms cantered on to the field on my far left. Magic saw Hand improve Wood Elf BS (and Shield of Saphery) after a bad dispel roll. Elf Archers rolled well and killed a couple of the Quarrellers opposite. Wood Elves and RBT’s targeted the Organ Gun, putting two wounds on it. The Spearmen turned to face the Eagle on my left and the Steg the one on my right while the Thunderers entered play far across from the Helms. The Empire Handgunners held station and so couldn’t shoot. Quarrellers killed a High Elf Archer. The Organ Gun rolled 20 shots at my Swordmasters! “No worries, World Dragon”. Except that my opponent had brought the world’s first runeless Organ Gun. As it happened it needed 5’s to hit and that, combined with my 5+ Ward meant only 3 SM’s died. I could live with that. Except that my opponent had brought the world’s first runeless Organ Gun. As it happened it needed 5’s to hit and that, combined with my 5+ Ward meant only 3 SM’s died. I could live with that. Lets see how this develops! Ha! At least no Rune of Accuracy to help him out. An Engineer might have hurt but hey, low points game for the win! On my left, the Eagle charged over the Spearmen into the Organ Gun, while the Helms trotted up without getting too close. My other Eagle flew behind the Empire Handgunners. Magic again saw the Wood Elves boosted. Shooting killed some Spearmen. The Eagle finished off the Organ Gun and Reformed. The Stegadon lumbered around the side of the building. The Thunderers were on target, removing my victorious Eagle. The remaining Eagle charged the Handgunners in the rear. The Phoenix ghosted forwards to threaten a charge itself. Magic was stopped but the RBT rolled brilliantly and took the Stegadon clean off. The Wood Elves killed more Spearmen and the Archers a Quarreller. The Eagle killed a guy but his comrades held and Reformed to face the threat. Seeing which way the wind was blowing, the Dwarfs advanced. The Warriors wheeled to face the Phoenix, while the Ironbreakers (and Lord) marched towards the Wood Elves. The Thunderers advanced to bring the Silver Helms into range. The only shooting was a fruitless Quarreller volley at the Frostheart. The Eagle-Handgunners combat ground on. I didn't mean it as a negative. Mainly that there were no big surprises in there. Things seem to be heading your way. Interesting to run into a non-runed Organ gun and lucky it only cost 3 SM. That could have gone a lot worse (though 3 is about average with 5+ to hit, 5+ ward, but still). You're making the most of your range advantage and you're keeping him nice and busy. The fact that he feels the need to start moving is a good sign. Now is the time to isolate the different elements and pick them off one at a time. The Eagle finished off the Organ Gun and Reformed. Nice, mine tend to get stuck on Dwarf crews forever! Maybe I just bump into entrenchment too much. The RBT did well to bring down the Steg. You should be cruising with the two main threats down. It could Rod but even losing the whole back rank I’d still have felt confident. James is down to M3 combat troops and that’s pretty grim. Nice, mine tend to get stuck on Dwarf crews forever! Shooting two wounds off first really helped RE. I’m a little hazy about this turn. I seem to have removed the Quarrellers somehow and kept grinding down the Men. Both Warriors and Ironbreakers kept advancing. Helms charged the Spearmen. Phoenix charged the Handgunners in the flank. Magic achieved little but shooting killed some Ironbreakers. The Helms won but the Spearmen held. Hangunners finished off the Eagle but were themselves wiped out by the Frostheart, who overran. Thunderers charged the Helms’ flank. Ironbreakers (and Lord) charged the Wood Elves, who fled. Only Spearmen died in the combat, which stuck. The Phoenix charged the flank of the Thunderers but at this point Mark told us we had to stop, game over. Good win, pity you couldn't get a couple of more rounds in as the enemy force seemed done for. Hoping the reminder of games went just as well! Thanks dude. Maybe I’d have got a 15-5 or something. So struck was I that it’s inspired me to start a whole new army, mostly of 3rd edition models!